The explosive growth of Uber and Lyft has created a new traffic problem for major U.S. cities and ride-sharing options such as UberPool and Lyft Line are exacerbating the issue by appealing directly to customers who would otherwise have taken transit, walked, biked or avoided the trip, according to a new study. The report by Bruce Schaller, author of the influential study, “Unsustainable?”, which found ride-hail services were making traffic congestion in New York City worse, constructs a detailed profile of the typical ride-hail user and issues a stark warning to cities: make efforts to counter the growth of ride-hail services, or surrender city streets to fleets of private cars, creating a more hostile environment for pedestrians and cyclists and ultimately make urban cores less desirable places to live. Schaller concludes that where private ride options such as UberX and Lyft have failed on promises to cut down on personal driving and car ownership — both of which are trending up — pooled ride services have lured a different market that directly competes with subway and bus systems, while failing to achieve significantly better efficiency than their solo alternatives. The result: more driving overall. The nine cities studied were New York, Los Angeles, Chicago, Boston, Washington, Miami, Philadelphia, San Francisco and Seattle. Schaller found that while options such as UberX add 2.8 new vehicle miles for each mile of personal driving they eliminate, the inclusion of options such as UberPool and Lyft Line adds to traffic at only a marginally lower rate: 2.6 new miles for every mile of personal driving reduced. The findings are based on published trip mileage data and the companies’ own claims about the share of solo and pooled rides. Schaller synthesizes data from surveys in eight cities and the state of California to conclude 60 percent of ride-hail users would have otherwise used transit, walked or biked, or stayed home were it not for the availability of services such as Uber and Lyft. “It’s people getting out of the bus and Metro getting into sedans,” said Schaller, a former deputy commissioner for traffic and planning at the New York City Department of Transportation. Lyft disputed Schaller’s findings, pointing to its own sustainability efforts, its urban mobility focus and claims from passengers who report giving up their cars — though the locations where those reductions took place were not immediately clear. “We strongly disagree with Schaller’s claims regarding shared rides,” Lyft spokeswoman Campbell Matthews said. “Since Lyft’s founding, we’ve been focused on increasing car occupancy and eliminating the need for car ownership. That focus has paid off. 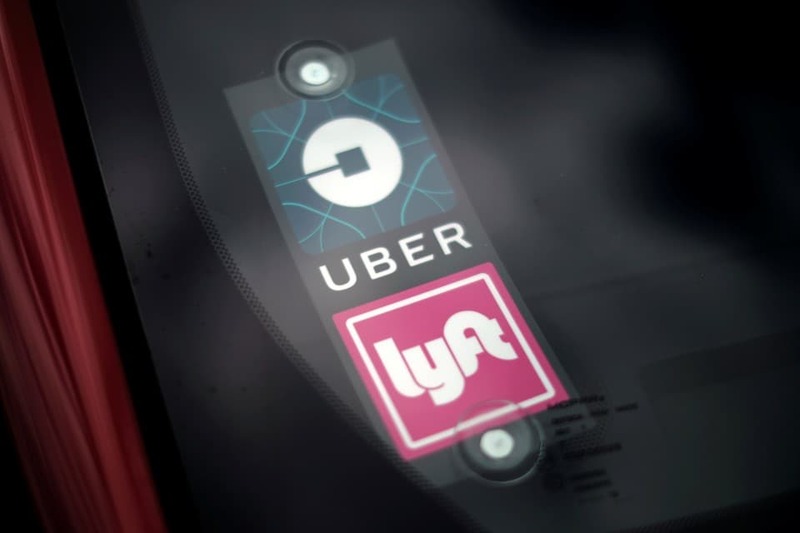 Uber said in a statement that it supports several of the policies Schaller proposes, including the expansion of dedicated bus and bike lanes and congestion pricing. The company argued that contrary to Schaller’s conclusions, Uber saved more than 315 million global vehicle miles in 2017 by shifting riders to its pool service. Schaller never argued, however, that pool services were less efficient than solo rides. He concluded that at the rate the services are expanding — and with appeals to transit users — the effects of any such reductions are negligible and the growth is untenable. Schaller’s conclusions cast doubt on notions that ride-hail services will ultimately reduce private vehicle ownership and challenge arguments that they do not compete with mass transit. Based on a profile of the average ride-hail user, he concludes that the more services such as Uber Express Pool resemble transit, the more they will draw riders away from urban rail and bus systems, resulting in an increasing number of transit users turning to private cars to get around. But sedans don’t have the capacity to match the modes they are pulling from, he says. “When you look at the numbers, what you see is that what is more sharing for them is less sharing overall,” Schaller said. Observers have noted how Express Pool, for example, is modeled — well — like a bus. In a typical commute, Express Pool riders might walk to a busy intersection where they are met by a car that shuttles them along a straight route to an often-popular destination. The vehicle makes as few turns as possible, sometimes picking up other passengers along the way; the cost of a ride can be as low as $3 or $4. But problems such as “deadheading,” where drivers roam city streets in empty cars waiting for a fare, markedly reduce the efficiency of these rides. And even if ride-hail services can expand the reach of shared mobility services and fill as many seats as possible, they will never be as efficient as rail or bus — ultimately resulting in more congestion and higher reliance on automobiles, the research says. As many researchers have noted, the problem could become particularly acute if the eventual rollout of self-driving vehicles eliminates the need for ride-hail services to hire drivers. In Washington, supporters of a new tax on ride-hail trips to help fund Metro argue that pooled rides should be exempt from the additional fee — or pay a lower rate — because they are carpooling. For some, Schaller’s conclusions cast that argument in a new light. “I think it’s an interesting proposal, but then you have to again look at this study and wonder if ride sharing has enough of a net benefit such that pricing should be tiered,” said Stewart Schwartz, executive director of the pro-transit Coalition for Smarter Growth. Schwartz pointed to another one of the report’s conclusions. Lyft says that today, a third of its rides in major markets are shared. The company has outlined a goal to make half of its ride shared by 2022. “Even if Lyft managed to meet its 50 percent shared ride goal, you still increase [vehicle miles traveled] by 120 percent,” Schwartz said, citing the report’s finding that 50 percent shared ride adoption would still add about 2.2 vehicle miles to roads, or a 120 percent increase in driving overall. Schaller’s analysis is “one of the first studies to really look at [Uber and Lyft’s] impacts from across a national spectrum,” said Adam Stocker, a staff researcher with the Transportation Sustainability Research Center, who is part of a team pursuing a study on the impacts of Uber and Lyft across three North American cities, including Washington. But individual cities face challenges in discerning how the findings apply to them, Stocker said, because of a dearth of available data from the companies themselves. Part of his team’s focus is to discern how the “mode replacement profile” differs between those who use the pooled options vs. solo riders. He wouldn’t give away any of the findings but suggested that the portrait of a pool user aligns closely with those who use transit services. Adie Tomer, a fellow at the Brookings Institution’s Metropolitan Policy Program, was skeptical that such broad conclusions could be drawn from data that was not derived directly from the ride-hail companies, and was instead parsed from research including the National Household Travel Survey, a range of studies conducted by research groups and, in some cases, collected from sources within the ride-hail industry. In rebutting Schaller’s conclusions, Lyft pointed to studies from outside sources such as the traffic data firm INRIX and the University of California, Los Angeles, showing that overall congestion had decreased in the San Francisco Bay area in 2017, and most ride-hail users “report no change in their travel by other modes,” respectively. Asked if it had internal data that run counter to Schaller’s findings, however, the company declined to provide specifics. Uber said the report was limited because it relied on data from 2017, though it did not provide related data to support its rebuttal. Jon Orcutt, a spokesman for the New York-based advocacy organization Transit Center, said the blame does not fall on individual users for finding ride-hailing services attractive, but that the burden is on local governments and transit agencies to respond to their growth with policies such as congestion pricing, the prioritization of buses through features such as dedicated lanes, and a general push toward frequent, reliable and affordable transit. It’s no coincidence, he says, that ride-hailing’s explosive growth has taken place amid transit system collapses in several major cities. Faiz Siddiqui is a reporter with The Washington Post's technology team. His coverage includes Silicon Valley's ride-hailing giants, nascent tech startups, automakers deploying electric vehicles and driverless cars, and numerous other companies on the cutting edge of mobility.